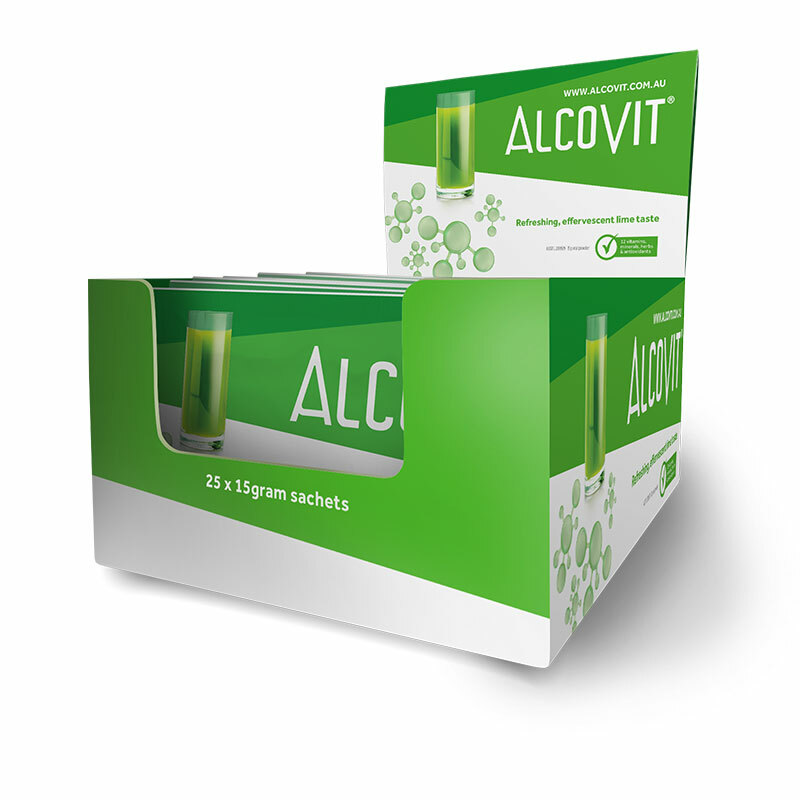 Subscribe and Save to Alcovit, this 25 sachets every 6 months. Choose the number of sachets, and the time frame that suits you, no minimum orders, cancel anytime, the subscription can be managed by which can be activated or suspended and reactivated at any time. And it just saved you from your next hangover, scientifically. 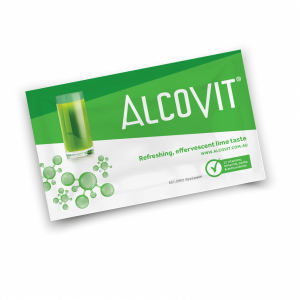 Alcovit is effervescent detox drink with a zingy lime flavour, packed with 12 high-quality vitamins, minerals, a herb and antioxidants. 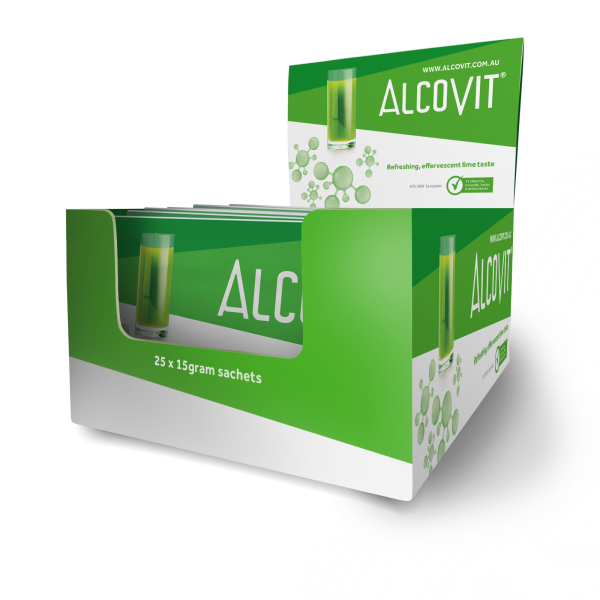 Enjoy tonight without with damaging tomorrow, Alcovit is your best drinking companion! 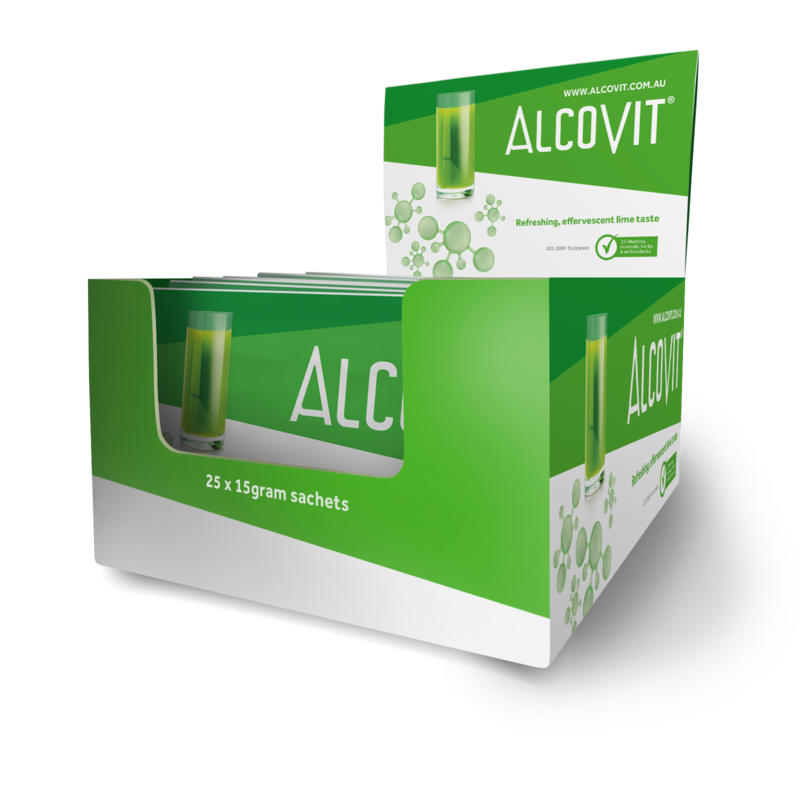 Alcovit is a one of a kind and like no other product on the market, not a hangover CURE but a product that has an impressive ability to detox the body from the nasty toxins that cause a hangover or alcohol poisoning. 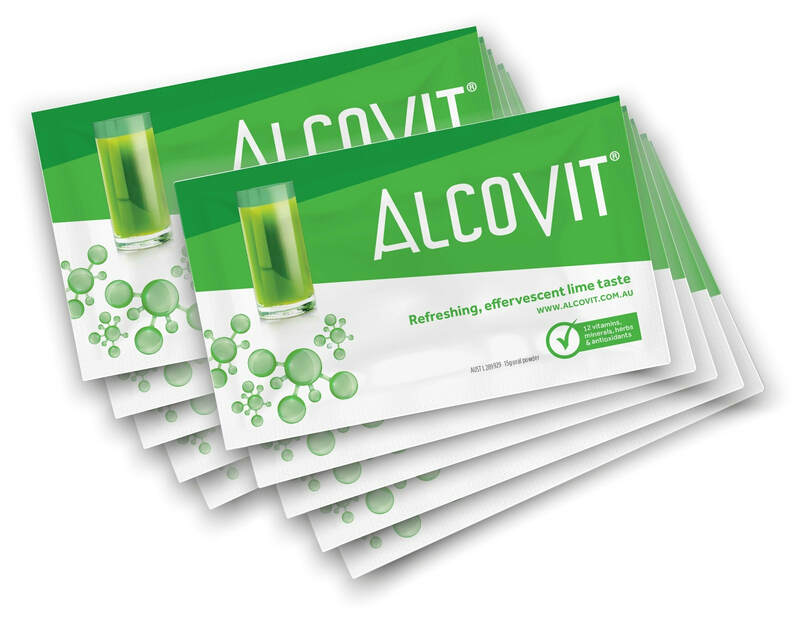 Detoxing, the body shortly after (as the last drink of the night) consuming alcohol scientifically, means the body doesn’t have to work as hard, and you feel better the next day. 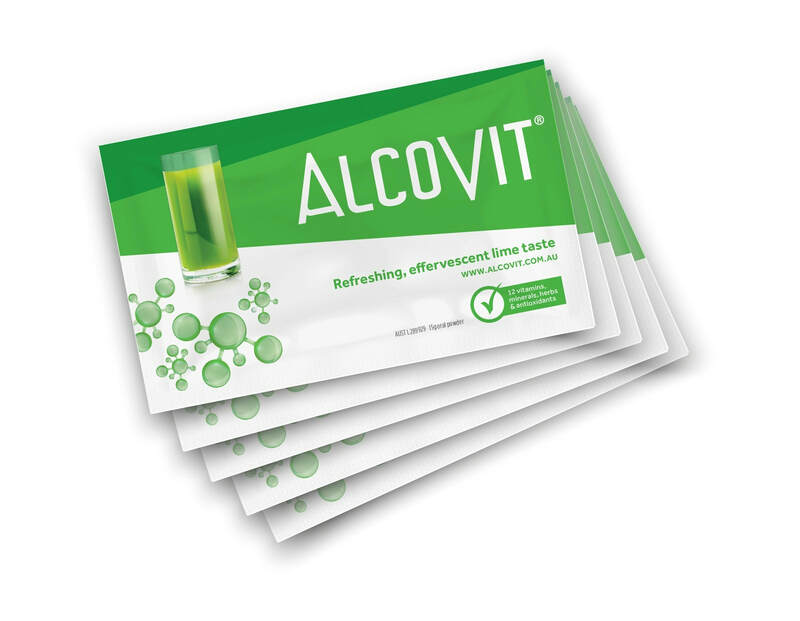 Alcovit is effervescent detox drink with a zingy lime flavour, packed with 12 high-quality vitamins, minerals, a herb and antioxidants, designed to reduce the work the liver has to do after a great night out. 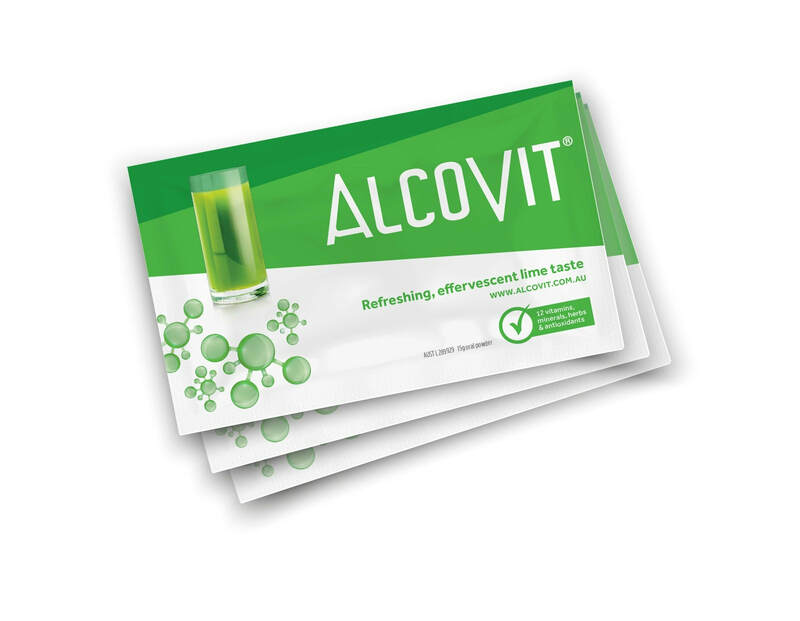 Alcovit works quickly to remove the toxins in what would normally take your body 5 or 6 hours to metabolise. Instructions – Taken as your last drink of the night. Add to at least 200 ml of water, stir & drink. 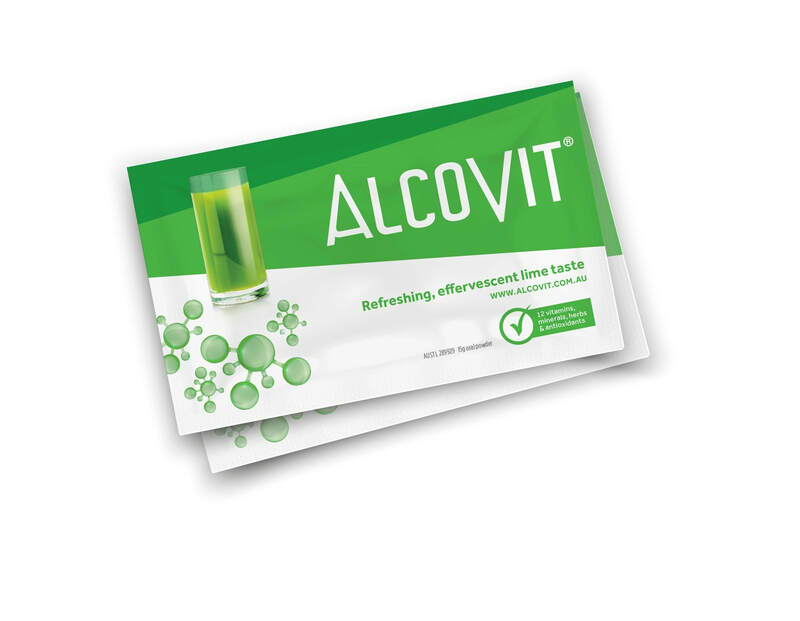 We recommend as the last drink of the night but can be consumed at any stage before, during or after alcohol consumption or as directed. If it settles stir again and drink, immediately.